I received my February Birchbox in the mail yesterday, and the theme for this month is "Red Carpet Ready". In honor of all the major events and award shows going on for the month of February, Birchbox has put together for us a few red carpet worthy items, that will have us looking "Red Carpet Ready" for our own special events. 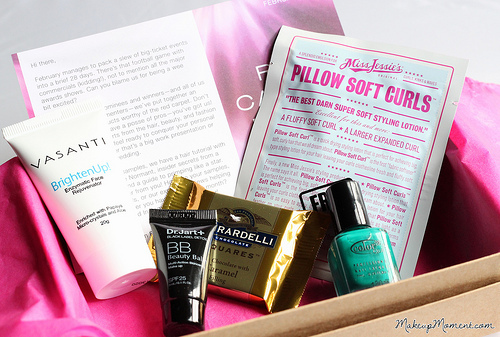 I think this month's box was pretty neat, and I am looking forward to trying out all of the products. Check out what I received in my box this month! Color Club Nail Polish in Wild Cactus: I love receiving nail polishes in my Birchbox, and this deep, teal green cream is no exception. Isn't it gorgeous? I have to say though, my camera couldn't really capture the true beauty of this nail color. But trust me, the color is so much more richer and vivid in person. I can't wait to rock this one! 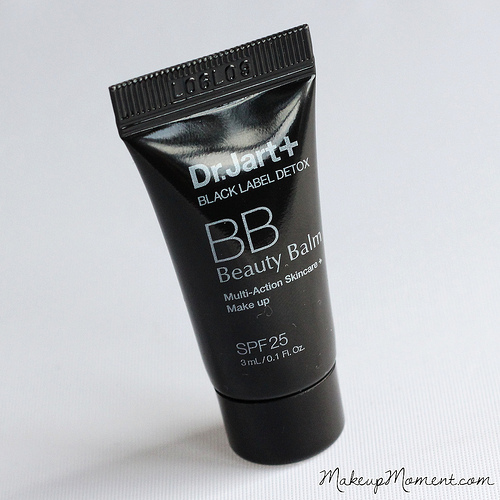 Dr. Jart + Black Label Detox BB Beauty Balm: I have tried a few products from Dr. Jart + in the past, and I have had quite a nice experience with them. This beauty balm helps even the skin tone, and it contains a botanical formula that purifies and calms easily irritated, sensitive, acne prone skin. It also contains an SPF of 25 to boot! This sounds like something that my skin would love for those minimal makeup days, when I am looking for a bit of evenness. 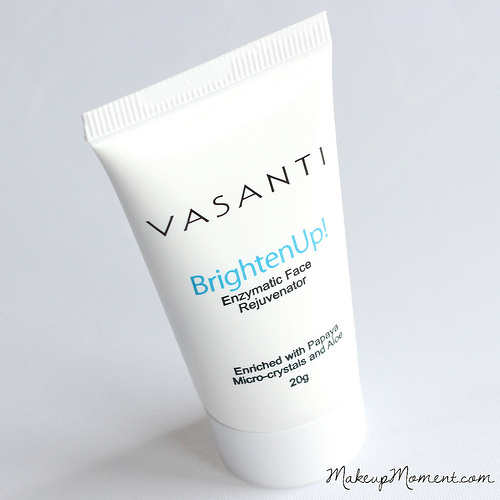 Vasanti Brighten Up! Enzymatic Face Rejuvenator: This exfoliating cleanser is infused with awesome ingredients, that are sure to be a treat for dry and dull skin. Micro-crystals help exfoliate, papaya enzymes brighten, and Aloe Vera and coconut gently cleanse. This product is paraben free, sulfate free, and it's 99% natural. Love it! I like the size of the sample tube. It should easily last a few good uses. 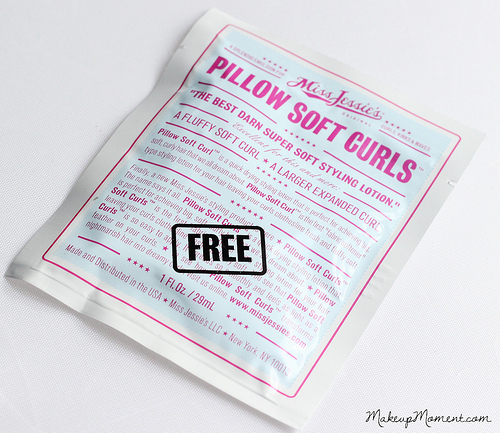 Miss Jessie's Original Pillow Soft Curls: I have naturally curly hair, so anything that helps soften and tame my out of control frizz, is always welcome. This styling lotion sounds promising and I can't wait to try it on my curly tresses. 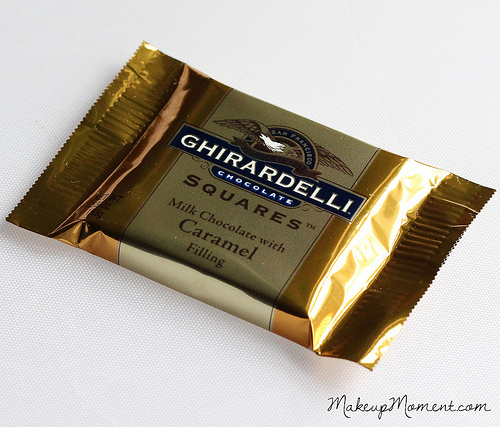 Ghirardelli Chocolate Square in Milk Chocolate with Caramel Filling: This chocolate was a little extra treat in my box. I am a huge chocolate lover, and this chocolate snack was so delicious The milk chocolate and caramel filling just melted in my mouth. So yummy! What did you all receive in your February boxes? Love Color Club nail polishes! Great package can't wait for reviews! Color Club nail colors are awesome! Their formulas is one of my favorites :) Thanks for stopping by, Hun! Birchbox is the only beauty box that I am subscribed to at the moment. But I am thinking of subscribing to another. I don't even know where to start because like you pointed out, there are so many to choose from, LOL! Hey, Jennifer! Ipsy sounds like a great beauty subscription. I have see blog posts showcasing their monthly bags, and I really like that they include a lot of makeup items :) Gotta love that! Hi Alina I came across your site when googling MACS foundation prolongwear in NC25 your picture came up, then I was on this site for more then an hour Browsing all your reviews lol!and I did notice you are a huge ELF fan ;) I am as well, and I just wanted to share with other beauty gurus tht love ELF like you & I that right now for Vday they are having a really good special, spend up to $14 and get free shipping :) use code: BEMINE. I just got 8 awesome items for $16 only. Pillow Soft Curls is AWESOME for wavy/curly hair. It says apply generously, but I only use a little bit or else it feels greasy. I got two samples of it in my December box... at first I was disappointed to get a duplicate, but once I used the first packet I was glad I had more. Miss Jessie's website will send you two free samples with free shipping if you want to try their other products. I just ordered two of them - I was inspired to try them because I received Pillow Soft in my Birchbox.